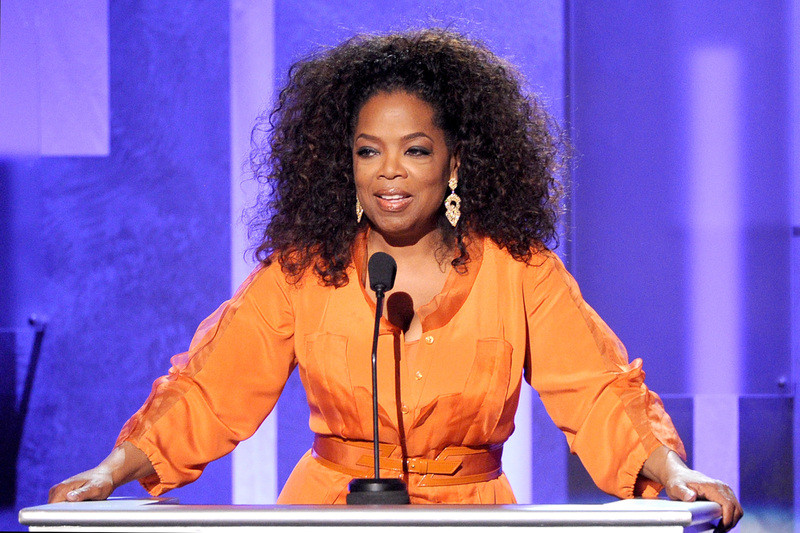 Oprah & 'The Wire's David Simon Producing MLK Jr. Miniseries, Will It Capture His Legacy? Earlier today the world was treated to the first trailer for OWN's first trailer of the Lindsay Lohan documentary orchestrated by Oprah Winfrey. On the flip side of things Oprah Winfrey contributes to the world is another project circling: An HBO miniseries about Martin Luther King Jr., to be written by The Wire creator David Simon. And it's already bound to be epic. There's a tricky thing that comes with a person achieving the status of legend — for Dr. King a lot of that has to do with the stories surrounding his achievements becoming almost mythical, spread so far and wide and held so far up that Sarah Palin feels secure making the claim that "playing the race card" should be beneath us because of his accomplishments. It's something we've seen even more recently with Nelson Mandela: The marginalization of his more radical ideals and actions, in favor of those that sail most smoothly with the widest (and sometimes whitest) demographic. This is why any biopic type situation surrounding the life and influence of Dr. King is understandably a tricky one. Luckily for history, though, David Simon seems better equipped than most — and certainly better equipped than most of his fellow white men — in taking it on. The Wire is, after all, still widely regarded as one of the best (if not the best) shows in television history, and its subject matter deals extremely intelligently with the inner workings of the city of Baltimore. As The San Francisco Chronicle's Tim Goodman wrote of the show, The Wire "has tackled the drug war in this country as it simultaneously explores race, poverty and 'the death of the American working class,' the failure of political systems to help the people they serve, and the tyranny of lost hope. Few series in the history of television have explored the plight of inner-city African Americans and none—not one—has done it as well." In other words, it seems the kind of show Dr. King might've connected with. An unparalleled epic of America in the midst of change, poised on the threshold of its most explosive era. Here is a vivid, panoramic portrait of America divided, at war with itself, and finally transformed by a struggle that left no citizen untouched – the civil rights movement, led by Dr. Martin Luther King, Jr., borne by the spirit of a generation of young black leaders determined to seize equality and justice. A monumental chronicle of a movement that stirred from Southern black churches to challenge the national conscience during the Eisenhower and Kennedy years. In this masterly continuation of the narrative, Branch recounts the climatic struggles as they commanded the national and international stage. At Canaan’s Edge concludes America in the King Years, a three-volume history that will endure as a masterpiece of storytelling on American race, violence, and democracy. Pulitzer Prize-winner and bestselling author Taylor Branch makes clear in this magisterial account of the civil rights movement that Martin Luther King, Jr. earned a place next to James Madison and Abraham Lincoln in the pantheon of American history. This is certainly working itself out to be the most widely-spanning onscreen work about King's life that I've heard of. And with both Winfrey and Simon at the helm, let's hope the Oprah sentimentality will combine with the gritty reality of Simon's past works to work out to be one of the most inclusive when it comes to Dr. King's full range of politics, as well.